Brownie Speaks at Newport: July 30, 2015, 7:30pm (Eve of the Newport Jazz Festival) at the Jane Pickens Theater and Event Center (49 Touro Street Street, Newport, Rhode Island 02840). Free and open to the public. Please join us this year as we celebrate the 60th anniversary of Clifford Brown’s performance at the Newport Jazz Festival. A special night of film and music will be presented at the Jane Pickens Theater and Event Center in Newport, Rhode Island on Thursday, July 30 (the eve of the Newport Jazz Festival), beginning at 7:30 PM. 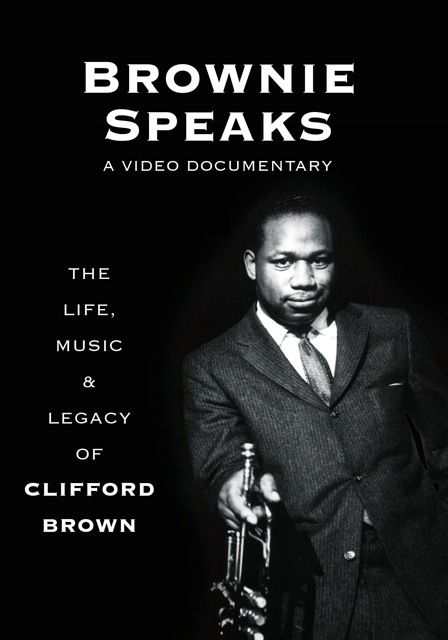 Featured will be a screening of Brownie Speaks, a discussion with the filmmakers, and a musical tribute by Philadelphia’s University of the Arts - Graduate Jazz Ensemble. The group features Tal Shtuhl, tenor saxophone, Dan Nissenbaum, trumpet, Woomin Lee, drums, Shane Aaserud, bass, and Don Glanden, piano/director. Guest vocalist EJ Park will perform Benny Golson's I Remember Clifford." Brownie Speaks at Newport is sponsored by the University of the Arts. It is an event of Newport BridgeFest 2015.